Make Your Grand Finale Truly Grand! When people go to a concert, they’re expecting a fun and exciting visual show to go along with the music, and fans love Flutter FETTI Concert Confetti! Our biodegradable confetti in bulk is an awesome, easy way to WOW your audiences and take their experience to the next level. We’re extremely proud that Flutter FETTI’s specialized concert confetti has been featured in countless performances including Shania Twain, Sir Paul McCartney, Beyonce, Toby Keith, Sarah Brightman, Fall Out Boy, The Killers and Rascal Flatts. And that’s just a few of our wonderfully talented clients! Confetti is most exciting when it’s blasted out of our concert confetti launchers, especially at the end of the show. The surprise and joy that the audience feels the moment our biodegradable confetti bulk designs shoot out will leave them screaming with excitement! Our launcher options include our 3” and 6” continuous flow cannons, which will blow Flutter FETTI confetti up to 100’ into the air, or our NEW X-6 Version 2 Electric launcher, which can shoot 2” X 40’ metallic streamers over 120’ into the air. Both of these launchers are compatible with DMX technology. No matter what kind of show you’re trying to put on, we have concert confetti that’s perfect for you. With special die-cut shapes, colors, and metallic options, there are countless ways for you to dazzle your audience. We can even imprint your name or logo on our tissue Flutter FETTI concert confetti or we can imprint on our metallic streamers also. (Call for imprinting pricing.) Plus, our tissue Flutter FETTI biodegradable confetti bulk products are extremely easy to clean up and flame retardant - in case you want to include some pyrotechnics as well. Our metallic Flutter FETTI Confetti is also flame retardant. Best yet, because we manufacture our Metallic Flutter FETTI Confetti and our Metallic Streamers using the thinnest PVC film available, these signature Flutter FETTI products float up to 10 times longer than other confetti and streamer brands because they are so lightweight making that special moment feel like an eternity. At Flutter FETTI, we take the idea of having fun seriously. 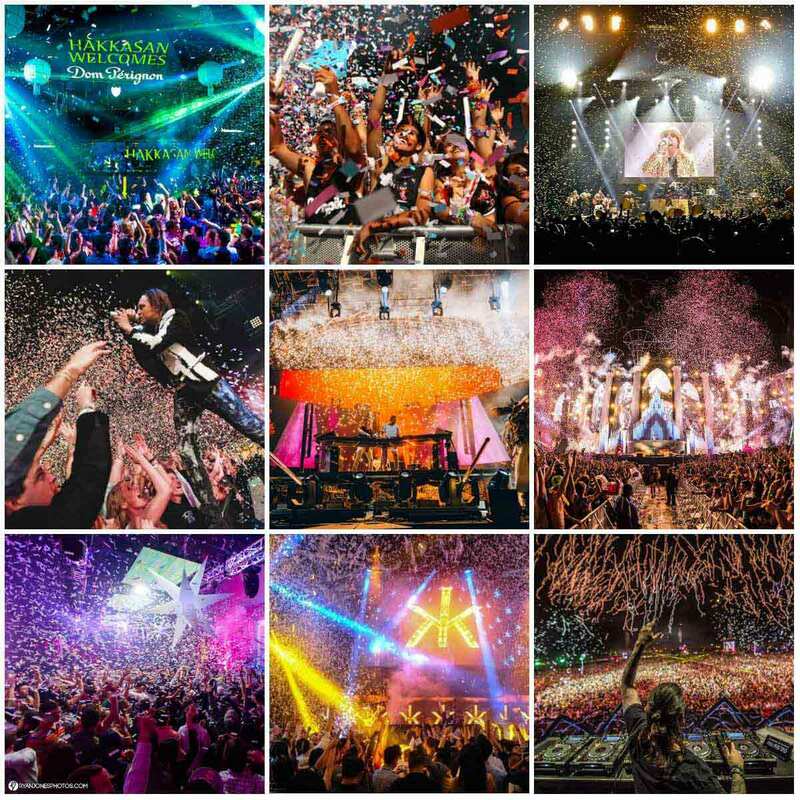 We work hard to develop the best biodegradable confetti bulk products and techniques to maximize the amount of enjoyment that you and your audiences get from each show. If you have any questions about who we are or what we can do for you, give us a call at (877) 321-1999 or check out our contact page. 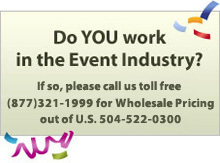 Blow the audience away at your next show with concert confetti launchers from Flutter FETTI! Flutter FETTI tissue and streamer products, when saturated with any liquid and under pressure may bleed color, and Flutter FETTI® cannot guarantee or warranty that it will not do so. If any liquid will or may be present at an event, please consult with us so we can assist you in choosing water-safe FETTI® products.